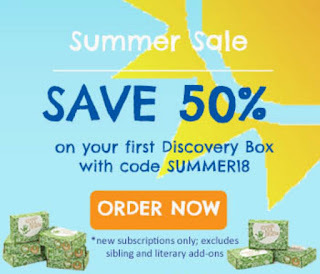 Save 50% on a STEAM activity box subscription from Green Kid Crafts and keep your kids engaged and learning all summer long! Green Kid Crafts is an award-winning STEAM activity box subscription service that provides all the hands-on materials needed to inspire creative and educational fun. Plus, they also offer tons of single boxes with themes like Outer Space, Dinosaurs, Rainforest, Volcanoes, and more. Use code “SUMMER18" to save 50% off yourJuly Discovery Boxes (Physics Lab or Art Lab, depending on the product line) when subscribing to a monthly subscription. 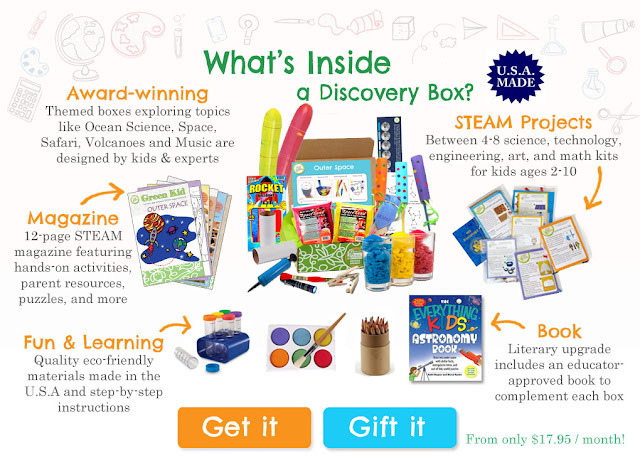 Each box contains 4-8 award-winning STEAM kits and bonus extension activities. Projects are designed for ages 2-10. Get yours now by visting Green Kid Crafts today!